Choose from 2 hotels and guest houses in Dunmow. Shown below a just a selection of the hotels available. To search within an area please use the menu on the right. 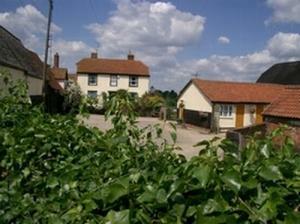 Homelye Farm is 15 minutes from Stansted Airport, Leez Priory and Maidens Barn. All the cosy guest rooms are on the ground floor, in converted farm stables. Homelye Farm is built around 2 courtyards and vehicles can be safely parked outside your room. It provides a peaceful, comfortable stay in a relaxed, friendly and safe atmosphere. The individually styled rooms have spacious en suite facilities, digital LCD TVs. 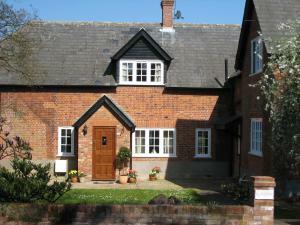 The rural accommodation is also well-located for the M11 and Braintree. Set in the heart of Little Easton, a couple of miles from the thriving market town of Great Dunmow, Roslyns is surrounded by beautiful countryside as well as being convenient for Stansted Airport, London and Cambridge. Built around 1876, Roslyns was formerly the village school and has been renovated and refurbished by its present owners, Peter and Clare, who offer a warm welcome to their home. Roslyns offers 3 beautifully appointed bedrooms, one of which can be converted into a family room and another on the ground floor with access to the gardens. Roslyns has 4 stars and a gold accolade awarded by Quality in Tourism.